It's located in central Oxford, on Beaumont Street. It is a short walk from Oxford Train Station. Parking is available on St. Giles or Goucester GreenThere are 5 Park and Ride bus services in the centre. 3 of the 5 services currently run from Oxford centre until around 11pm. The Park and Rides are clearly signposted as you enter the city. A 10 minute walk from Oxford train station, and very close to Oxford bus station.There are 5 Park and Ride bus services in the centre. 3 of the 5 services currently run from Oxford centre until around 11pm. The Park and Rides are clearly signposted as you enter the city. Our own on site caterers can caterer for any event from 50 - 150 guests, canape receptions, gala dinners and corporate events. Either within the Ashmolean museum or at a venue of your choice. There is a private dining room which seats 20 people. The restaurant is also available to hire privately. Please contact Ivelina at Ashmolean@benugo.com who will be happy to help you. 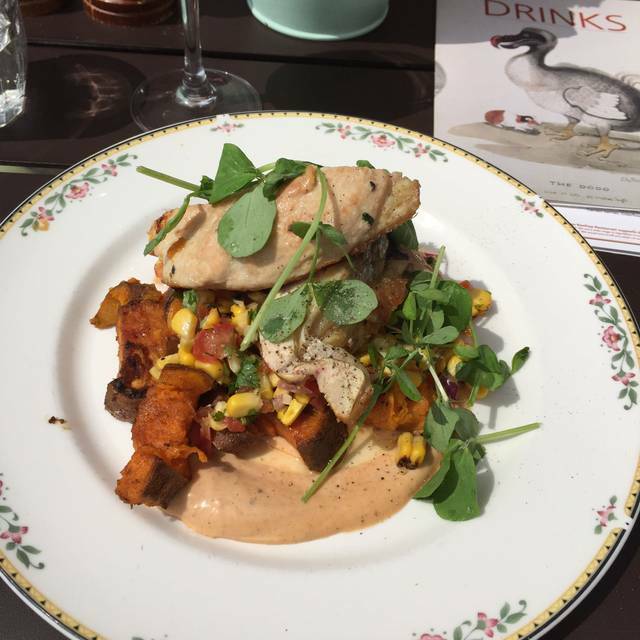 The Rooftop restaurant offers modern British cuisine, inspired by the current exhibition at the Ashmolean museum. In the unique setting of the Ashmolean's rooftop. All in all afternoon tea at the Ashmolean is very enjoyable occasion. The dining room is pleasant, and even though it was too cold to sit on the terrace we had a nice view of it. The food is beautifully presented, and everything seemed very fresh. However there were fewer items than when we attended last summer, which was a little disappointing. Service was good - the server was very patient with our requests, though she did have to be reminded about our daughter's order. It was a nice way to finish off a visit to the exhibition, but I would probably not book here unless we were visiting anyway, as other places offer better value. The restaurant itself is very pleasant, but some things let it down badly. We always look forward to trying the "Market Fish" at any restaurant, but when we visited it was fishcakes! That is the total opposite of Market Fish, which is understood to be fresh fish available that day in the local market. Instead we ordered the smoked haddock, which was quite good, however it was clearly pre-prepared as it arrived very quickly - so quickly in fact that it arrived before our starter! £16.50 seems a very high price for a dish which is clearly produced in bulk and kept warm. The waiting staff were pleasant, but very inexperienced. We had so looked forward to visiting, but this was a big disappointment compared to similar restaurants in other museums. Lovely meal with live jazz in the background. Unfortunately all specials had sold out and selection on main menu is limited but we still had a good meal. Service was excellent. Will go again. what has happened - very limited choice and two courses poorly cooked and served not as ordered ? Used to be a must go venue, not now. Kid's menu - very limited, but better than the adults. A group of friends and I went to the Rooftop Restaurant for hightea on Saturday afternoon. It was extremely busy and the staff were rushed off their feet - as a result it wasn't the best service. The food was tasty and plenty of cake to choose from. Overall I would say it was expensive for what you had. I would go back though because the choices from the set menu looked really good. Everything was spot on, the decor; atmosphere; staff; service; food. One of the best fishcakes I’ve tasted! Went on a Friday evening where a jazz band were playing. The staff even arranged for a special birthday dessert and had the jazz band play happy birthday. Cannot fault the restaurant and will definitely be returning. An excellent meal beautifully served by well trained staff who worked extremely hard throughout our stay. On previous visits the food has been excellent but on this my first visit for several months, food was very disappointing. I would suggest if the restaurant is going to close at 5pm, they shouldnt take in anymore reservation at 4:30pm. A delicious afternoon tea sheltered from the wind but outside! Sunday lunch for Mother's Day was nice but some food was burnt (extra crispy potatoes and yorkshire pudding, beef over-done). Most of the staff friendly, just one who let the team down somewhat! Nice location, some good views of Oxford and clean restaurant. Complimentary glass of prosecco for Mum was a nice touch. Some very hard working manageresses run off their feet with lots of very pleasant waiters looking a bit more relaxed actually. Really enjoyed it and hope to be back. Really lovely treat for Mum and daughter for Mothers Day. trouble and we were made to feel really welcome. Really nice lunch for Mother's Day - lovely food, great location. This is a great restaurant in a wonderful setting. 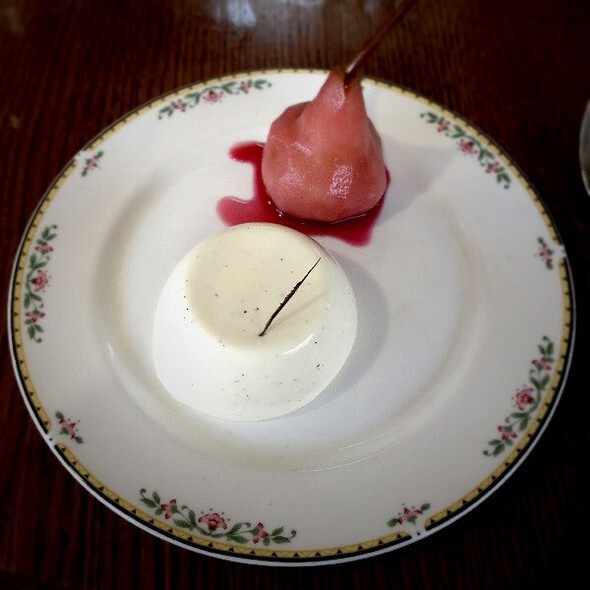 The menu is simple but enjoyable, mainly consisting of classic dishes. A great place for a special occasion or casual dining. Highly recommended. Lovely place for an afternoon tea on a sunny day. Front of House greeter was a little miserable and short with us, she could have been a bit friendlier. Waiter was nice though. 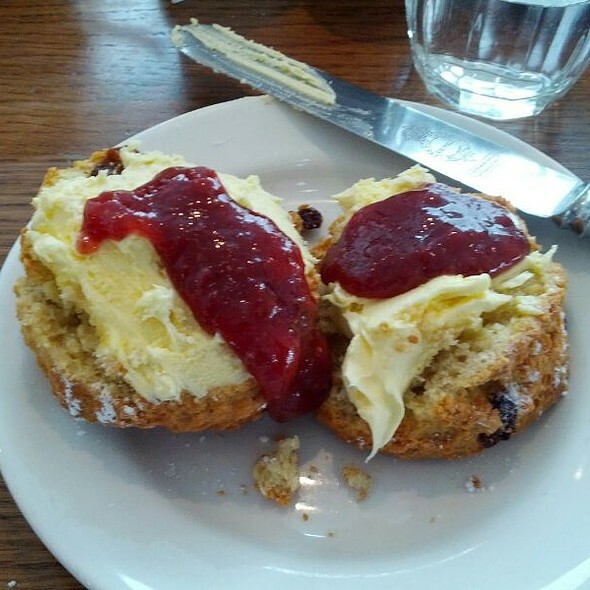 Tea itself was ok, sandwiches were a little disappointing but cakes and scones very good. Not enough clotted cream for 2 people though. 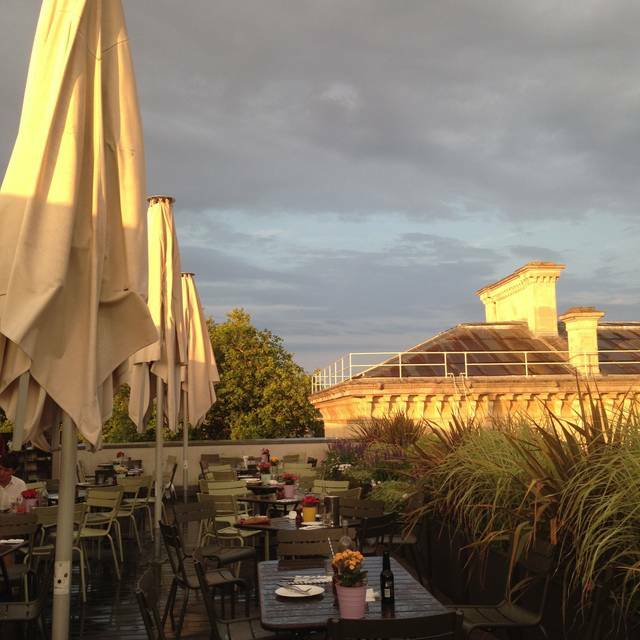 We visited the Ashmolean Rooftop restaurant for afternoon tea. It was a beautiful sunny day so we were able to sit outside and make the most of the beautiful views and convivial atmosphere. The service was very quick and attentive and the afternoon tea was excellent. My only criticism was that, although I had booked a table for afternoon tea at 2.30pm, we were told we couldn't order until 3pm. It would be useful to include this information on the booking website. We’ve been coming to the restaurant for years but this was our poorest experience. The choice was really limited for lunch and one out of the two specials had already sold out. The starter two of us choose was the halloumi and chickpea salad which had one tiny bit of halloumi and the masses of quinoa which was so tasteless (could not taste a lemon and herb dressing) so we left a third of it and at £8.00 was very overpriced. The hadddock gratin for the main course was superb but again we thought it expensive at £16.50. Service was good and attentive but originally got a place at the table right next to the open door without anyone checking to see if the table was okay. I had to ask to move to another table as the draft was too much. Then another group of people sat there and just kept their coats on through lunch! Just felt it had good downhill a little bit since we last came but with London prices that were not warranted. 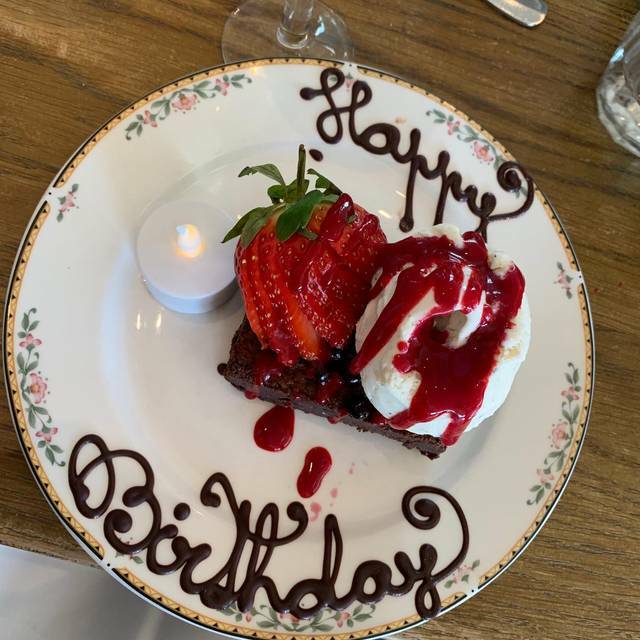 Good food, shame that my notification that this was a birthday for a vegan wasn’t acknowledged, our service was good by two lovely young men, the welcome by the lady at reception was very disappointing, with her charm she should be in charge of fly tipping for the council. Would have been 5 stars except no soup spoon and the bill was wrong. Fairly average if I'm brutally honest, a nice room with a good atmosphere when its busy but the menu isn't vast and when the market fish of the day is 'all gone I'm afraid' at 12.30!! the choice gets smaller. As was the amount of fish in the fishcakes, all potato not a lot of fish, the pork belly was ok but leaning towards the fatty side. Desserts were fine and the bill wasn't unreasonable but it just needs to get its act together with the food . I chose the roof restaurant for afternoon tea for my nephew who is studying there and it was his birthday. The booking process was fine. Everything was good. The food looked amazing. The value (including Prosecco) was great compared to competitors. At 4.45 less than half way through our tea, we were told the restaurant would be closing soon and then about every 3 minutes for the next 15 we were told. The last time, taking the tea plate tower away and saying they would pack the rest for us to take away with us. at no time of booking was I made aware of this and it was a rather sad and abrupt end to our experience. Food, view, tea and Prosecco were all great. Conclusion - pick your time carefully. Arrived at 12.45 and the only meat special - lamb confit - already finished. We were disappointed with our visit to this restaurant purely based on the price of dishes and drinks. 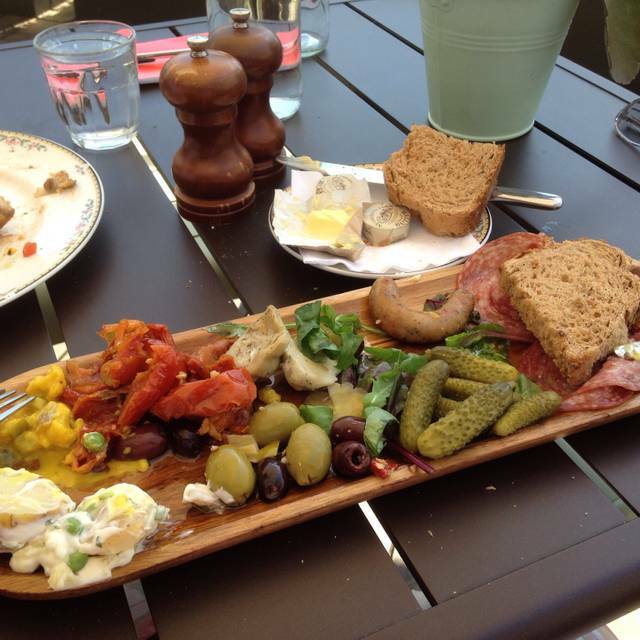 The food was good, as would be expected in a pub/cafe, but portions were small. The staff were friendly and the jazz music was excellent. Overall, a really pleasant experience but just too expensive for small main courses and drinks (£4.75 for a 330ml bottled beer and £7 for a 175ml glass of wine). Unfortunately, we won't be returning. Food was lovely, service was patchy!! A very abrupt waitress seated us and seemed to be hurrying us to make decisions, then it took ages to get the food?! It is a great location but the soup was disappointing and the bread on the bread platter was stale. Good place to meet in central Oxford. Good service and food, reasonable choice. In the summer I am sure it would be lovely to sit outside. Not rushed by staff who were attentive but not pressurising. We enjoyed the decor and the relaxed feel of the restaurant. The service was excellent: the staff very attentive and friendly. Sadly, the music was too loud which made it difficult to talk. The large group at the table next to ours made it worse. It hasn't put us off, however. It's a great place to eat. We were disappointed in the food. The service was excellent. I honestly couldn't recommend this restaurant. We were shown to a table buried beneath a coat rack, and I had to ask to be moved. The service was not at all attentive. The food was below average. 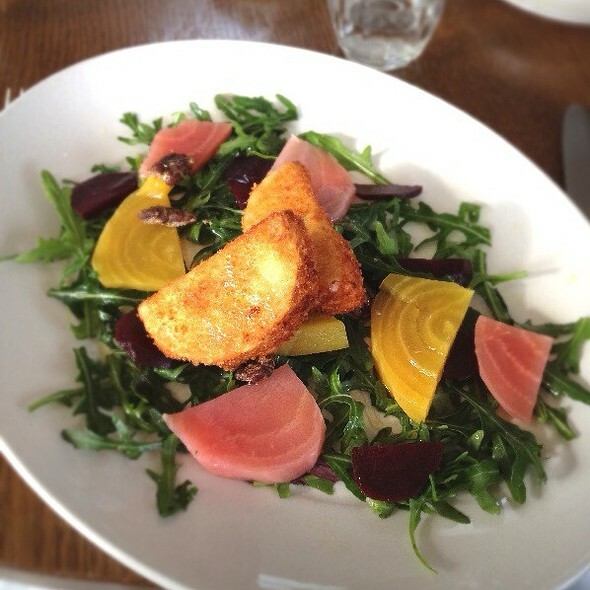 The beetroot and goat's cheese starter was a mess on the plate, and not very tasty. The smoked haddock with potato was dry, and lumpy dry potato. My husbands' fish and chips was nowhere near as good as the average fish and chip shop. The bill came to £128 for four (we had 3 small drinks). Overpriced, and under average. It's annoying to spend so much hard earned money on this standard. Nice setting a bit quiet for early on a Friday evening we didn't need to book as plenty of free tables. Limited food choice, but very nice food, excellent friendly service. Lovely setting and good food. Service was good too. overcooked food.One side not delivered to table-"sorry we forgot".Not a professional set up,so shouldn't charge the prices they do.